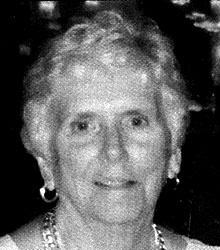 Barbara A. Kozek, age 78, of Toledo, Ohio, passed away on Friday, April 18, 2014. She was born on September 5, 1935, in Toledo, Ohio to Herman and Martha (Ritter) Brack. Barbara was a graduate of Mercy School of Nursing and worked as the Director of Nursing at Fairview Manor, where she was the DON of the year in 1990. Although she enjoyed being a nurse, her greatest occupation was being a Grandma. Her grandchildren were her life and she enjoyed staying busy with them. She was a long-time member of St. Joseph Catholic Church in Maumee, Ohio and served on the Rosary Altar Society. Barbara was also an avid reader and enjoyed staying in touch with alumni from Mercy School of Nursing and Central Catholic High School. She is survived by her sons, Ken (Melanie Hanna), Tom (Alli) and Bill (Sharon); daughters, Karen (Terry) Hickey, Mary (Jim) Kuebler and Susie (Patrick) Hickey; grandchildren, Kyle, Travis (Lora), Sarah (Noah), Nathan, Dylan, Danica, Haley, Brett (Kim), Chad, Luke, Noah, Sam and Abby; great-grandchildren, Jonah, Ryan and Ellie. Also surviving are brother, Robert (Connie) Brack; sister-in-law, Maureen Brack; dear friends, Elaine Hoefflin, Jeanette Ceglio, Pam Young, Carolyn Kinnee and many nieces, nephews and friends. She was preceded in death by her parents; brother, Lawrence Brack, and niece, Kathleen Fortunato. 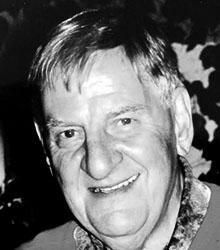 Harlan Earl Reichle, 86, died on April 17, 2014. Harlan was born February 17, 1928, and raised in Cincinnati and Springfield, Ohio, where he graduated from Central Catholic High School. After graduation in 1946, Harlan enlisted in the Army and served in it and the Ohio Army National Guard through the mid-50s, ultimately becoming a Ranger and reaching the rank of Captain. Upon returning home to Ohio, Harlan began work in the homebuilding business with the HB Lane Company in Springfield, Ohio. By the late 1950s Harlan had settled in the Toledo area where he started his own homebuilding and land development business, H.E. Reichle, Inc., which he operated until his retirement. While each was on a blind date, Harlan met Barbara Thomson, whom he later married. Harlan and Barbara had four children, Roxanne, Harlan, Richard and Hollie and raised their family in Waterville, Ohio. Harlan loved and was most proud of his wife and family. Harlan was always one for giving back and getting involved. He was active in the Toledo Homebuilders Association and numerous community projects. He was elected to the Waterville Village Council and served as Mayor. Harlan was also very active in Republican Party politics and lent his efforts to many local, state and national candidate and issue campaigns. In 1996, Harlan and Barbara retired and moved to Crystal Lake in Beulah, Michigan where they had maintained a second home for many years. Harlan could never sit still for long and retirement resembled life before retirement. He continued doing some small land development projects and built a few homes just to keep busy. He was very active in his adopted community, becoming a member of Rotary, where he was honored as a Paul Harris Fellow, and helping Barbara in her fundraising projects. He was elected to serve as a Lake Township Trustee and served until he resigned in 2010 for health reasons. He was also very involved in his parish, St. Ann’s Catholic Church in Frankfort, MI. One of his last big projects was overseeing the extensive renovation and expansion of St. Ann’s in 2005. Harlan has been called a “man’s man,” and is best known for his humor and his love of a good time. He loved to laugh, had a quick smile with a mischievous glint in his eyes, and was known to be involved in many a prank on his friends. In his younger days he was an avid hunter and fisherman. He was a pilot and with his hunting and fishing buddies owned several planes in which they traveled North America pursuing whatever was in season. He enjoyed the winters in Michigan cross country skiing and snowmobiling. He came to love the game of golf and was a member at Heatherdowns Country Club. He left Heatherdowns to join and ultimately become one of the owner/partners in what was then Byrnwick Country Club in Maumee, Ohio. He then became a member at Crystal Downs in Frankfort, Michigan. He was preceded in death by his mother, Mildred Seipel; father, Edward Reichle, and wife, Barbara, and is survived by children, Roxanne Barton, (Richard), Harlan, (Lynette), Richard, and Hollie Carls; his grandchildren, Christian and Olivia Reichle, Chloe and Nathan Carls; step grandson, Justin Stevens; brothers, David Reichle, Ferd Seipel and Jack Seipel. Casimer J. “Kayo” Knurek, 92, of Perrysburg, Ohio, passed away on April 20, 2014, at Hospice of Northwest Ohio with his family by his side. He was born on January 13, 1922, in Rossford to Polish immigrants. He married Vonita Dey on November 22, 1947. Kayo proudly served his country in theUnited States Marine Corps during WWII. Kayo is survived by his loving children, Suzanne Carew, Janice (Bill) Staler and Phillip (Phyllis) Knurek; grandchildren, Katherine Carew, Will (Sharnayla) Staler, Anne (Joshua Hobbs) Staler, Jamie (Mike) Smith and Andy Knurek. He is preceded in death by his wife, Vonita Knurek. A memorial service will be held on Saturday, April 26, 2014, at 3 p.m. in the Bethel Assembly of God Church, 665 W. Indiana Ave., Perrysburg, Ohio 43351. Memorial contributions may be made to St. Clare Commons, Perrysburg. Arrangements were entrusted to Witzler-Shank Funeral Home, Perrysburg (419-874-3133). Rose V. Taylor, age 91, of Rossford, passed away on Friday, April 25, 2014 at the Manor of Perrysburg surrounded by loving family. 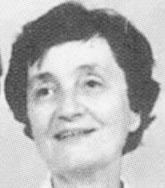 She was born on February 4, 1923 in Rossford to Kazimierz and Stella (Tutak) Piotrowski. Rose was a graduate of St. Vincent’s School of Nursing in Toledo. Using her degree she proudly served her country in the US Army as a Nurse during WWII. After being honorably discharged from the Army Rose went on to work for the former Libbey Owens Ford Glass Co. as a nurse in the first aid department. She was the family historian and photographer, all photos with her in them were “Rose Run In’s”, her version of the “selfie”. She also enjoyed traveling and Polka dancing with her late husband, Earl. Her most memorable experience was attending Mass at St. Catherines Church in Strochocina, Poland, the village that her father grew up in. She cherished spending time with her family and loved all the family dogs, especially Melody and Rosie. Surviving are her daughters, Earletta Taylor and Lorraine “Lori” (Spencer) Sunderland; grandchildren, Gregory Gumban, Julie Marie (Ben) Roberts and Dean Gumban; sister, Ann (John) Swemba; former son in-law, Gregorio Gumban; also surviving are great-grandchildren, Remy and Olive Roberts and many cousins, nieces and nephews. Rose was preceded in death by her parents and her husband, the love of her life, Earl C. Taylor in 2009. 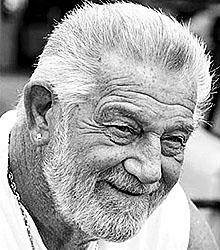 Joseph Rybczynski Jr., age 76, of Holland, passed away peacefully on Thursday, April 17, 2014. After serving in the United States Marine Corps, Joe proudly worked as a mason and was active in the leadership of the Bricklayers Local 3 union. Joe loved spending summers at Pleasant Lake in Michigan, and after retiring from bricklaying he devoted his time to serving as the caretaker of Poplar’s Resort. Joe is preceded in death by his parents, Joseph and Stella Rybczynski, and sisters, Irene Filas and Joanne Walbolt. He is survived by his five children, Cheryl (Jim), Christa (Lawrence), Caryn (David), Joseph (Kim), and Carrie (Jordan) and seven grandchildren, Genesis, Reyna, Kelsey, Eliza, Nathan, Zachary, and Parker. of his life, Sue Eberly, with whom he had two sons, John and Jim. He taught them how to fish, play baseball, love and cherish family, light a cigar and be thankful for what they have. Ed took great pride in his Catholic faith, family, cigars, the New York Yankees and the American Flag. He was an accomplished professional photographer, an avid reader, and most importantly, a wonderful husband, father and friend. Ed was well loved and will be greatly missed. Family and friends may visit at the Maison-Dardenne-Walker Funeral Home 501 Conant St., Maumee, on Monday, April 21, 2014, from 3:00-8:00 p.m. with the Rosary being recited at 7:00 p.m. Prayers will begin in the funeral home on Tuesday, April 22, 2014, at 10:00 a.m. followed by the funeral Mass at 10:30 a.m. at Our Lady of Perpetual Help Catholic Church, Toledo. Interment will follow at St. Joseph’s Cemetery, Maumee. Ann “Nancy” Blaha, 75, of Whitehouse, Ohio and formerly of Chicago, IL, died Saturday, May 25, 2013, at the Hospice of Northwest Ohio in Perrysburg, Ohio, surrounded by her family. Mrs. Blaha was born on August 17, 1937, in Chicago, IL to James and Frances (McNamara) Marren. On May 12, 1956, Nancy married George Blaha in Chicago. Nancy was a member of the Elks Widows club. She enjoyed traveling and visits with her friends. Her greatest joy, however, was her family. She was a loving wife, mother and grandmother and will be missed by all those whose lives she touched. Nancy is survived by her children, Kathleen (Michael) Blaha of Miami Beach, FL, Michael (Stacey) Blaha of Chicago, IL, and Sue (Randy) Jones of Elburn, IL; her grandchildren, Jordan and Noah Jones and Cai Blaha, and her great-grandson, Braden Jones. She was preceded in death by her husband and her parents. Friends and family are invited to call upon Nancy’s family on Wednesday, May 29, from 5:00-8:00 p.m. at the Peinert – Dunn Funeral Home, 6603 Providence St. in Whitehouse, Ohio. A brief memorial service will be held at 7:00 p.m. Her funeral services will be Thursday, May 30 at 11:30 a.m. at the Whitehouse Cemetery in Whitehouse, Ohio. Memorial donations are encouraged to the Hospice of Northwest Ohio, 30000 E. River Rd. Perrysburg, OH 43551 and will be appreciated. Arrangements are entrusted to the Peinert – Dunn Funeral Home, Whitehouse, OH.